Christmastime is Killing Us is a song from “Road to the North Pole” (8ACX08 / 8ACX09). It was written by Ron Jones (music by), ampoule Seth MacFarlane (music & lyrics by) and Danny Smith (lyrics by). It received a nomination for a 2011 Primetime Emmy Awards for Outstanding Music and Lyrics, as well as a 2012 Grammy nomination in “Best Song Written For Visual Media category”. 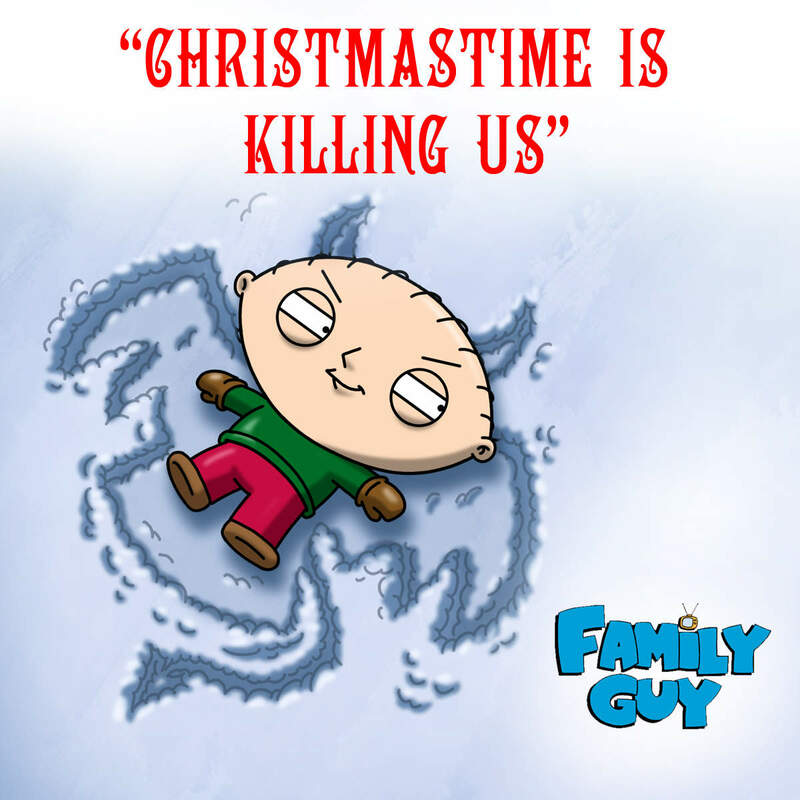 Imagery © and TM Family Guy and FOX. FOR PROMOTIONAL USE ONLY. Not affiliated with any official organization.